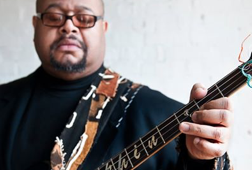 Dwayne Dolphin is a mainstay in the jazz scene, working with Pittsburgh greats such as Roger Humphries, Pete Henderson and Carl Arter, while also touring the world. Dolphin has played and recorded with a “Who’s Who” of music, such as Nancy Wilson, Melba Moore, Fred Wesley and Abby Lincoln, among others. Dwayne Dolphin's vast and diverse experience has afforded him the opportunity to lend his musical expertise in many areas. These include working with the Pittsburgh Ballet Theatre's production of Indigo In Motion, as well as serving as Adjunct Professor of Jazz at Duquesne University.